Rhyu Si-min, a liberal politician-turned-writer, starts a podcast Friday, with an aim to fight “fake news” after firebrand conservative politician Hong Joon-pyo’s YouTube channel Hong-ka Cola attracted 170,000 subscribers in less than a month. Titled Alileo, the weekly podcast by the chairman of the Roh Moo-hyun Foundation attracted over 40,000 subscribers even before it began. During a JTBC debate show on Wednesday, Rhyu said he views warnings of an economic crisis in the media as “the work of an ideological alliance of the conservative establishment” in an effort to force the Moon Jae-in government to revert to the economic policies of the Lee Myung-bak and Park Geun-hye administrations. “I think people should not be blinded by ‘contaminated’ reports, and should try to figure out more calmly what caused the economic downturn,” Rhyu said. “If those reports thwart all attempts to improve the lives of people who earn less than the median income, the change of government becomes meaningless on the economy pages (of newspapers),” he added. Rhyu said he shed tears upon reading an article about an employer who fired an employee of 30 years because of the minimum wage hike. “How could he have paid the minimum wage to a person for 30 years? The world we live in should not be like this,” Rhyu said. 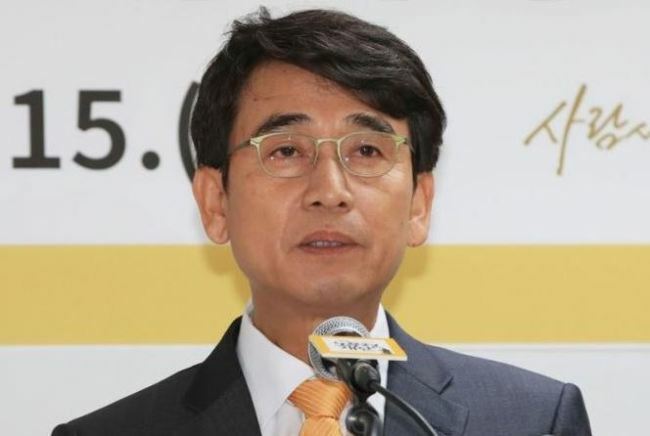 The first podcast of Alileo at midnight Friday will feature Rhyu’s chat with special adviser to the president on unification, foreign affairs and security Moon Jung-in, according to a press release by the Roh Moo-hyun Foundation. “We will talk about issues of life and policy through reasonable inference based on facts,” Rhyu said through the foundation.